Personalized learning is the #9 eLearning trend for 2018. 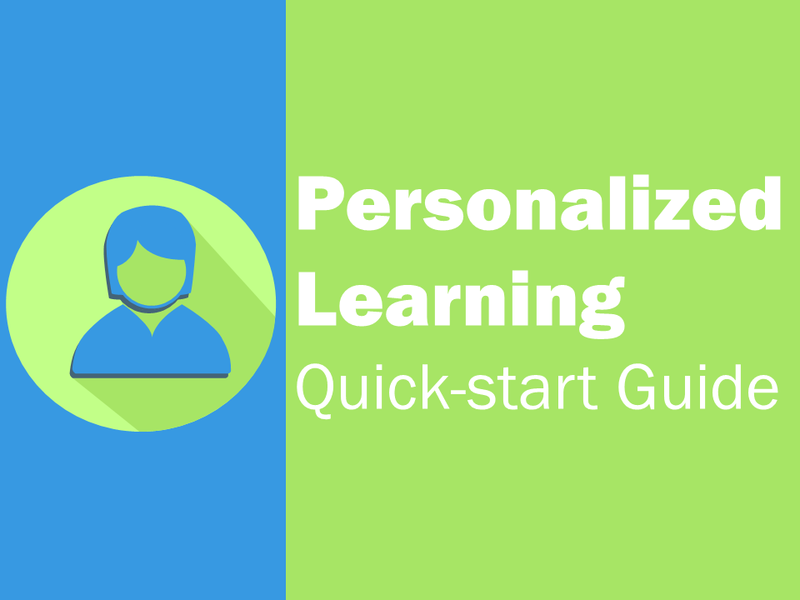 But what exactly makes learning personalized? Is it a “Netflix for learning” approach, where a system recommends training based on consumption? And does it require fancy software and access to a ton of data to get started? Then implement 3 additional easy and actionable next steps to move your organization further along. In fact, the strategies he talks about can each be done in under an hour! Now let’s just jump right into the meat of the content! Note: you can read the highlights in the “next steps” section at the bottom of this post. Before you can actually implement personalized learning, you likely need to have stakeholders buy in on the general concept. I’ve synthesized some of the key points JD made in our interview into questions and prompts, where you can set the stage for the next phases of personalization. Question: What’s the role of the training department? Prompt: You want to shift FROM creating content that everybody must consume TO providing the right support to the right person at the right time to accomplish something. Question: Does everyone who’s taking this training have the same background & experience? Prompt: Obviously not. And if they have different backgrounds & experience, they probably don’t all need the same training. A novice and an expert don’t need to same training for a specific task. Question: What’s our goal for what someone can actually DO after this training? Prompt: Lead this towards experienced workers being able to test out via assessment, or have a path to learning that bypasses beginner content. Question: What do people currently use at the point of need right now when performing those tasks? Prompt: Direct this toward a job aids (printed cheat sheet, Knowledge Base, etc) that someone might be able to use instead of formal training. If you’re already creating training content and distributing it to learners (e.g., “pushing” it out to people via a course, LMS, etc. ), there’s a quick win you can make without completely shifting your training model. Simply add a branching element at the start of that content that allows some people who don’t need all of the content to bypass what they don’t need. Provide a pre-assessment where users can test out of the course. Create a job aid that someone can use to test out of the course. Branch the content in some way to have an “expert” path to bypass the content. In all three of the methods above, the “normal” way you create and distribute content still applies. You’re just now providing a way for people to demonstrate they can do what you want them to do, without viewing every slide of the training. Here’s where you’re making more of a shift in how you train. You’re going to create useful content, but not push it onto everyone. Instead, you’re going to create something useful that they’ll PULL when they’re actually doing the job. It’s not that different from how they’re getting instructional content in their personal lives (e.g., how they use Google and YouTube to get info). Personalized learning in the corporate space is lagging the consumer side of most businesses (and overall, the training industry lags the consumer side). JD suggests you talk to the business insights group in your organization to find out what data and personalization exists now. The likely first place personalization happens at your organization is on the consumer side of the business. On the sophisticated side, it could be custom homepages based on past consumer behavior. On the simpler side, it might be localization on the website. Or it could be that your email marketing system or CRM is segmenting users in some way. Start digging in, to see what’s already in place. Personalized Learning in corporate training is about people and valuing their experience. It’s about providing the right support and helping them get better. People, tech, & data can enable them to do their jobs better. Use as much as you can from data and context to acknowledge & understand the needs of the individual. Do your best to use context to support & enable them in whatever ways you can. Note: Adaptive and personalized learning is not well defined yet. It’s not about automating employment experience. It’s about making it more human…getting time wasters out of the way. Target specific needs. Everyone comes in with different experience and needs. We’re never going to replace experience, but can we not push everyone through the same “path.” Base it on proven need. JD has seen a shift in attendance in adaptive topics at conferences. Wrap a few trends into personalized/adaptive learning: Data, Microlearning (targeted to specific problem), self directed learning (pull instead of push). If you’re accepting of those, personalization is opening. Lots of opportunity for PL by using data. Start a conversation to make it ok for there to be individual learning experiences. Add branching to your existing training (push). Change your deliver to pull by putting it up and letting people access on their own. Talk to the marketing people in your org who are probably personalizing the consumer experience in some way. Simple corporate example: Branching content (way to bypass 100 slides). Plenty of examples in the K12 education space if you Google it. Is it the “Netflix of learning?” No, that’s not really how people consume training in real world. Is it adaptive? Yes. It’s not just what you’ve consumed (surface level), but adaptive.. How it translates to results, your background, what’s around you, etc. If your desire is to “become the next manager,” then it takes all your personalized experience and creates a unique recommendation. There is lots of research in the K12 education space if you Google it. For business, there’s not a huge body of research. There is lots of data around consumer experience (a la, “Netflix of Learning” or Amazon), and we can take the best of it and avoid the worst.